With a bit more blue this time around. 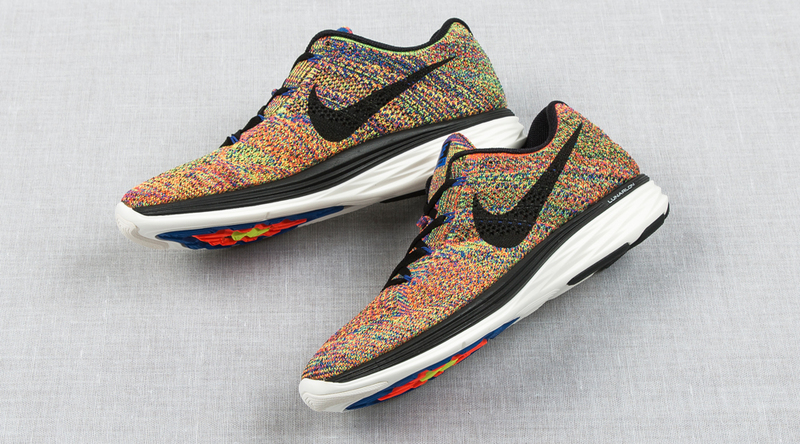 The Nike Lunar Flyknit "Multicolor" styles haven't typically earned as much hype as the Racers, but they still usually end up as the sought after entries in the Lunar Flyknit line. The latest entry is this one, which mixes in more blue than previous pairs. 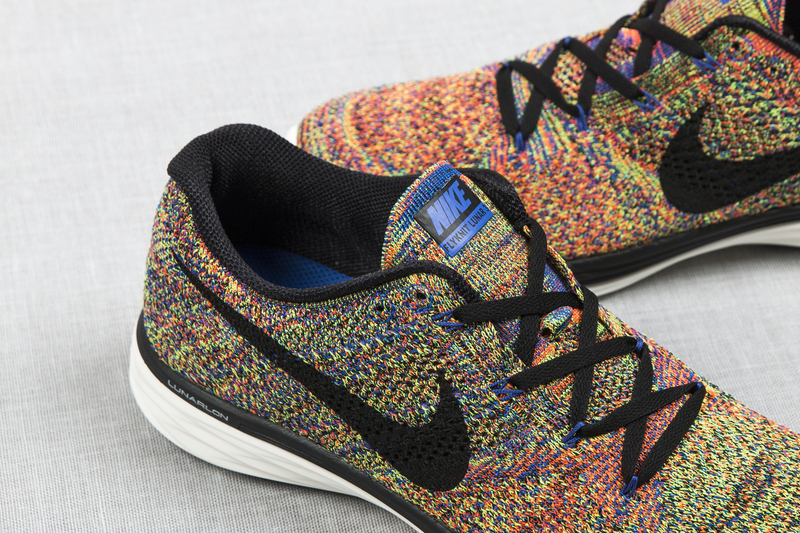 The busy Flyknit upper also has total crimson, volt and black threads. 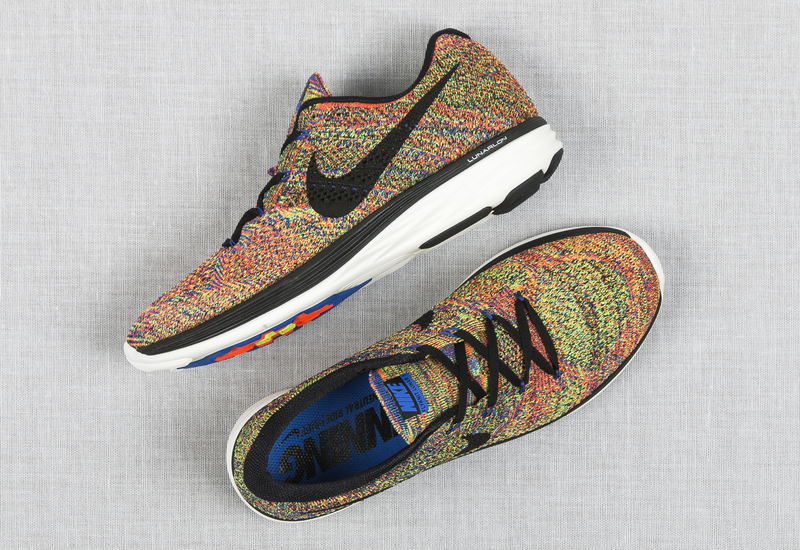 If official Nike images for this shoe are to be believed, the Swoosh across the side is reflective. 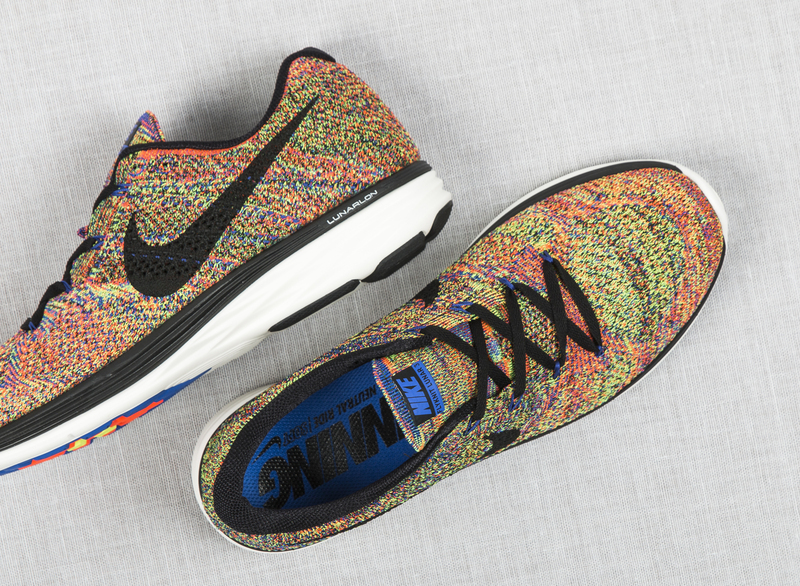 Livestock in Canada will have these Flyknit Lunar 3s come this weekend, although Nikestore has them in stock now here.